USES: This medication is used with other drugs to treat a certain type of cancer (acute lymphocytic leukemia). Mercaptopurine belongs to a class of drugs known as purine antagonists. It works by slowing or stopping the growth of cancer cells. Talk to the doctor about the risks and benefits of mercaptopurine, especially when used in children and young adults. OTHER USES: This section contains uses of this drug that are not listed in the approved professional labeling for the drug but that may be prescribed by your health care professional. Use this drug for a condition that is listed in this section only if it has been so prescribed by your health care professional. This drug may also be used to treat Crohn's disease, ulcerative colitis, and lymphoblastic lymphoma. HOW TO USE: Take this medication by mouth with or without food with a full glass of water (8 ounces or 240 milliliters), usually once daily or as directed by your doctor. Drink plenty of fluids while taking this medication unless otherwise directed by your doctor. Doing so may help decrease the risk of side effects (e.g., kidney stones). The dosage is based on your body weight, medical condition and response to treatment. Do not increase your dose or take this medication more often than prescribed. Your condition will not improve any faster, and the risk of serious side effects may be increased. Since this drug may be absorbed through the skin and lungs, women who are pregnant or who may become pregnant should not handle this medication or breathe the dust from the tablets. Properly discard any unused medication. Ask your pharmacist for details. SIDE EFFECTS: Nausea, vomiting, diarrhea, and loss of appetite may occur. Temporary hair loss may also occur. Normal hair growth should return after treatment has ended. If any of these effects persist or worsen, tell your doctor or pharmacist promptly. Remember that your doctor has prescribed this medication because he or she has judged that the benefit to you is greater than the risk of side effects. Many people using this medication do not have serious side effects. Tell your doctor immediately if any of these unlikely but serious side effects occur: easy bruising/bleeding, dizziness/fainting, joint pain/swelling, tongue/mouth sores or pain, unusual tiredness, symptoms of liver disease (such as persistent nausea/vomiting, stomach/abdominal pain, dark urine, yellowing eyes/skin). Tell your doctor immediately if any of these rare but very serious side effects occur: symptoms of possible lymphoma (such as swollen or painful abdomen, persistent fever, night sweats, unexplained weight loss), change in amount of urine, pain in the lower back/side. This medication can lower the body's ability to fight an infection. Tell your doctor promptly if you develop any signs of an infection such as fever, chills, or persistent sore throat. A very serious allergic reaction to this drug is rare. However, seek immediate medical attention if you notice any of the following symptoms of a serious allergic reaction: rash, itching/swelling (especially of the face/tongue/throat), dizziness, trouble breathing. This is not a complete list of possible side effects. If you notice other effects not listed above, contact your doctor or pharmacist. In the US - Call your doctor for medical advice about side effects. You may report side effects to FDA at 1-800-FDA-1088. In Canada - Call your doctor for medical advice about side effects. You may report side effects to Health Canada at 1-866-234-2345. PRECAUTIONS: Before taking mercaptopurine, tell your doctor or pharmacist if you are allergic to it; or if you have any other allergies. This product may contain inactive ingredients, which can cause allergic reactions or other problems. Talk to your pharmacist for more details. This medication should not be used if you have a certain medical condition. Before taking this medicine, consult your doctor or pharmacist if a certain drug (thioguanine) did not work for you in the past. This may affect how well mercaptopurine works for you. Before using this medication, tell your doctor or pharmacist your medical history, especially of: other blood disorders (e.g., anemia, low blood cell counts), gout, kidney disease (including kidney stones), liver disease, pancreatitis, radiation treatment, history of cancer (such as lymphoma). Do not have immunizations/vaccinations without the consent of your doctor, and avoid contact with people who have recently received oral polio vaccine or flu vaccine inhaled through the nose. Wash your hands well to prevent the spread of infections. To lower your risk of getting cut, bruised, or injured, use caution with sharp objects like razors and nail cutters, and avoid activities such as contact sports. 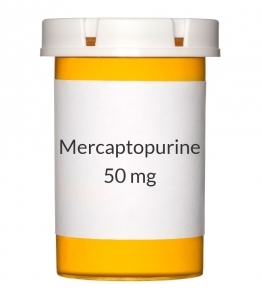 If you need to have surgery or a dental procedure, tell your doctor or dentist that you are using mercaptopurine. Drinking alcohol may increase the risk of stomach/esophageal irritation or liver damage. Limit alcoholic beverages. People with a certain inherited problem (lack of thiopurine methyltransferase-TPMT enzyme) may be at increased risk for serious side effects from this medication and may require dosage adjustment. Consult your doctor for details and to discuss whether you should be tested for this inherited problem. Caution is advised when using this drug in the elderly because they may be more sensitive to the effects of the drug, especially the liver and bone marrow effects. This medication is not recommended for use during pregnancy. It may harm the unborn baby. It may be particularly harmful during the first 3 months of pregnancy. Consult your doctor for more details and to discuss reliable forms of birth control. If you become pregnant or think you may be pregnant, tell your doctor immediately. It is not known whether this drug passes into breast milk. Because of the possible risk to the infant, breast-feeding while using this drug is not recommended. Consult your doctor before breast-feeding. DRUG INTERACTIONS: Your doctor or pharmacist may already be aware of any possible drug interactions and may be monitoring you for them. Do not start, stop, or change the dosage of any medicine before checking with them first. This drug should not be used within 2 weeks of receiving a live vaccine (e.g., flu, measles, mumps, polio). Before taking this medication, tell your doctor of any planned or recently received vaccines. (See also Precautions section.) This drug should not be used with the following medication because a very serious interaction may occur: azathioprine. If you are currently using the medication listed above, tell your doctor or pharmacist before starting mercaptopurine. Before using this medication, tell your doctor or pharmacist of all prescription and nonprescription/herbal products you may use, especially of: aminosalicylates (e.g., olsalazine, mesalazine, sulfasalazine), aspirin, "blood thinners" (e.g., warfarin), drugs that may affect the bone marrow (e.g., trimethoprim/sulfamethoxazole, other cancer chemotherapies), drugs that may affect the liver (e.g., amiodarone, erythromycin). Before using this medication, tell your doctor or pharmacist if you are taking allopurinol. The dose of mercaptopurine may need to be decreased to avoid severe side effects. If your doctor has directed you to take low-dose aspirin for heart attack or stroke prevention (usually at dosages of 81-325 milligrams a day), you should continue taking it unless your doctor instructs you otherwise. Ask your doctor or pharmacist for more details. This product can affect the results of certain lab tests (e.g., uric acid), possibly causing false test results. Make sure laboratory personnel and all your doctors know you use this drug. This document does not contain all possible interactions. Therefore, before using this product, tell your doctor or pharmacist of all the products you use. Keep a list of all your medications with you, and share the list with your doctor and pharmacist. OVERDOSE: If overdose is suspected, contact your local poison control center or emergency room immediately. US residents can call the US National Poison Hotline at 1-800-222-1222. Canada residents can call a provincial poison control center. Symptoms of overdose may include: sudden or severe nausea/vomiting, sudden/severe diarrhea, dark urine, severe abdominal pain, yellowing eyes/skin. NOTES: Do not share this medication with others. Laboratory and/or medical tests (e.g., complete blood count, liver function tests) should be performed periodically to monitor your progress or check for side effects. Keep all medical/lab appointments. Consult your doctor for more details.